← Was Monday really a tipping point? At a time when Health Minister Deb Matthews is looking for savings anywhere she can find it, this strikes us as a particular odd decision. But that’s what happens when you fail to look at the big picture. There has been no explanation of how the cost structures are affected by this move, but hospitals don’t get paid for each lab test. Instead lab services are usually covered under the hospital’s global budget. It is unlikely the South West Local Health Integration Network will reduce Alexandra’s core budget as a result of this cut. If it does, the amount will be far less than the cost of patients migrating to the private lab. The CML lab that patients will now be forced to attend does charge the government for each and every test. When former Premier Mike Harris set up the split between hospital and private labs, he calculated a 15 per cent premium for the private sector to cover profit. By 2008 that difference in cost had risen substantially. A report commissioned by the McGuinty government looked at 12 hospital pilot projects that sustained separate global funding to maintain community-based testing. It showed a whopping difference. The average round of tests at one of these pilot hospitals cost $22 to perform. In the private sector the same round cost $33. Keep in mind that these pilot hospitals were all smaller facilities – they didn’t have the same high degree of automation of their big city counterparts. Yet they still showed they could substantially compete with the private alternative. When the Ingersoll hospital lab closes its doors to outpatients, it doesn’t mean it will stop performing inpatient work. The lab will still be there July 2. By cutting the outpatient volumes it does reduce its efficiency of scale. The 2008 report also found this to be true. One of those hospitals – Muskoka Alongquin Healthcare (Huntsville, Bracebridge) initially had to cut its overnight lab shift as a result of the loss of community volumes. It eventually did decide that it couldn’t do without that shift and it has been since reinstated — but not the community volumes to pay for it. The pilot hospitals had served up a variety of good reasons to maintain community-based testing, including utilizing excess capacity, turning around tests faster (private labs usually collect samples in the community and send them to larger central facilities), maintaining relationships with local doctors and having the advantage of all being part of the same hospital-based lab information system. What’s frustrating for local residents is that this is not the first cut announced for Ingersoll hospital. The SW LHIN has decided to reallocate complex continuing care beds throughout the region. 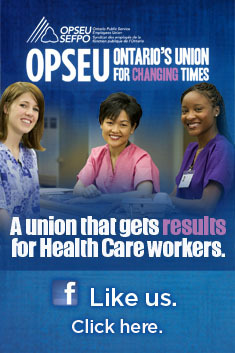 In Alexandra’s case, they are losing beds to Owen Sound. The problem is these beds are being used, and it’s unlikely the patients will also migrate with them to the northern part of the LHIN. That likely places the Ingersoll hospital under more pressure, not less. If the government is really hell-bent on reducing costs, it needs to revisit its policy to phase out community access to local hospital outpatient labs. When the big picture is examined, this is just one piece of market ideology that Ontario likely can no longer afford. This entry was posted in Uncategorized and tagged Alexandra Hospital, Complex Continuing Care Beds, Ingersoll Hospital, outpatient lab services, South West LHIN, SW LHIN. Bookmark the permalink.